IPL 2019: With the 12th season of cash-rich Indian Premier League around the corner, Delhi Capitals is getting all ready to start from a clean slate. IPL 2019: With the 12th season of cash-rich Indian Premier League around the corner, Delhi Capitals is getting all ready to start from a clean slate. It is a new-look side, they have a new name and jersey and they would hope season 12 is their best season ever. 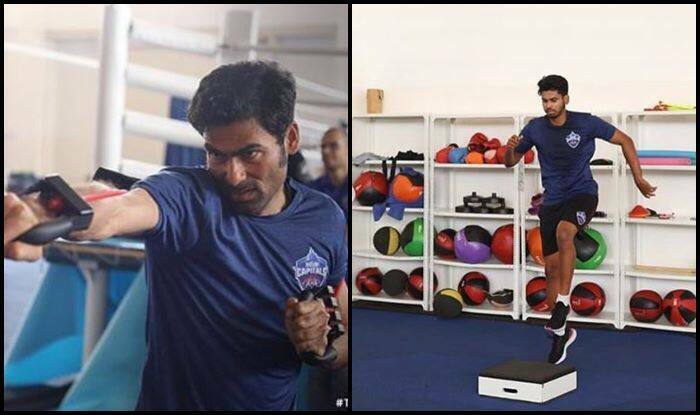 The Delhi Capital cricketers have already started preparing for the league which starts from March 23. Captain Shreyas Iyer, Akshar Patel, and coach Mohammed Kaif were spotted warming up for the tournament. The trio shared pictures from the gym where they seemed to be sweating it out to get in shape. It was a two-day conditioning camp in at Inspire Institute of Sports, Vijaynagar, Karnataka. The camp was attended by Praveen Amre, Ishant Sharma, Axar Patel, Hanuma Vihari, Manjot Kalra, Jalaj Saxena, Bandaru Ayappa, Rahul Tewatia, Nathu Singh. Trust me, we are all engineers. The franchise has never won the title in the past and would look to turn things around in this season. With Dhawan in the mix, Delhi looks to be a formidable unit on paper.